Christopher Zember, former director of the National Defense University’s Center for Technology and National Security Policy, has been named chief technology officer of Alion Science and Technology. He will be responsible for developing Alion Science’s technology roadmap in his new position, the McLean, Virginia-based government services contractor said Friday. 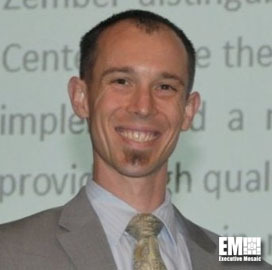 Zember has also previously served as director of Defense Department-run information analysis centers and led the establishment of DoD’s Technology Domain Awareness program. Prior to DoD, he held positions at the National Security Agency and Acuity Consulting. “Christopher is well known for his vision and leadership throughout the DoD community, ” said Bahman Atefi, Alion Science CEO. Investment firm Veritas Capital bought Alion Science in July 2015 for the latter’s presence in the defense, federal civilian, commercial, state government and international government markets.